A Kenwood Kitchen showroom can give you an idea of what to expect from your project. 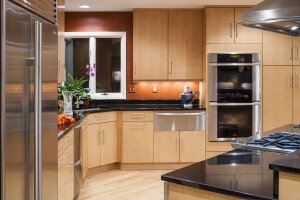 When planning a remodeling project, finding and visiting a kitchen and bath showroom can be extraordinarily helpful. Not only will you get a chance to see different designs and technologies up close and in person, but salespeople can give you essential advice that will make remodeling decisions easier than they might otherwise have been. Here are few reasons why you should consider making a stop at a Kenwood Kitchens showroom before undertaking your next project. The primary advantage of visiting any showroom is getting a chance to look at merchandise yourself, rather than simply viewing a digital representation on your computer or mobile phone. You can also physically feel materials and envision how they will fit into your kitchen or bathroom’s unique decor and theme. The more knowledgeable you are about different components and materials, the more satisfied you’re likely to be with your finished outcome. Our showrooms feature skilled and experienced staff members that can help you design and plan, as well as fill you in on any details that you might not have previously considered. If you’re doubting yourself on any part of your project, visiting a showroom can do a lot to ease your anxiety. While some remodeling information may be available online, a consultation with a salesperson can better explain how something will fit into your particular style and budget. They can also let you in on any special discounts or savings events that may be going on, so that you can save money and reduce renovation costs. This entry was posted on Friday, September 16th, 2016 at 2:47 pm. Both comments and pings are currently closed.